Yes, you can get full version Windows 10 free upgrade. Why it’s free? Well, because Microsoft itself offering it for free. To upgrade to windows 10 for free, you need to have a computer, laptop or other device running on either Windows 7 SP1 (Service Pack 1) or Windows 8.1. 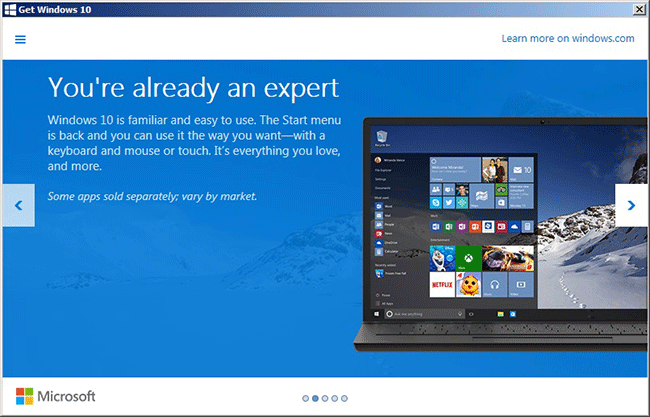 Here I am sharing how you can upgrade to Windows 10 for free. 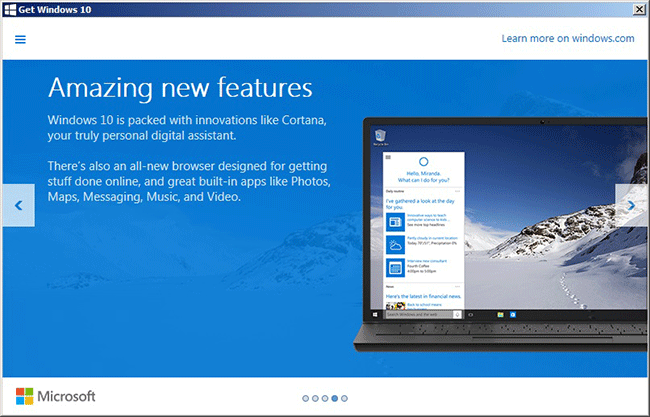 Microsoft is all set to release Windows 10 on July 29, 2015. 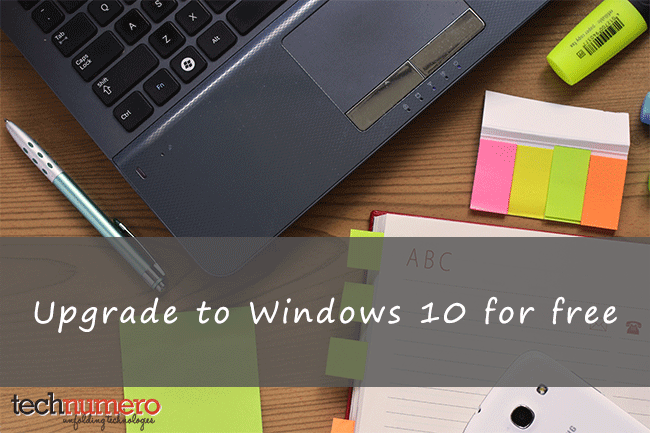 And as an initial launch offer, Microsoft is offering to upgrade to Windows 10 full version for free to their existing user who are using Windows 7 SP1 or Windows 8.1. To get free upgrade of Windows 10 full version, you need to reserve it, now. An article about free upgrade offer of Windows 10 was initially appeared on venturebeat. Then after many blog posts and article written about the subject. 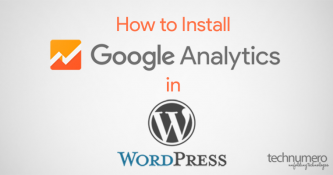 I come across many of them but most of these articles were explaining – how you can proceed, once the white Windows icon (free upgrade icon) appears in system tray in taskbar. After searching little more, I found a thread in Official Microsoft Community. This thread explained very nicely – how you can force, free upgrade icon to appear in system tray of your Windows 7 SP1 (Service Pack 1) or Windows 8.1. Link of the thread is mentioned below the code snippet. If you noticed a white Windows icon (free upgrade icon) in your Windows system tray in taskbar with a text ‘Get Windows 10’. Then you are among some lucky people who are actually using Up to date Windows (Windows 7 SP1 or Windows 8.1.). But if, you haven’t seen a white Windows icon yet on your taskbar, don’t worry. To upgrade to Windows 10 for free, you can force enable free Windows icon to appear in system tray of your taskbar. Your device is connected to internet. You can check in Windows Updates History if theses updates are installed. Your device is running a genuine Windows. Your device is up to date and Windows automatic update is turned ON. You have not blocked or uninstalled Windows Update program. Your device is not running Enterprise versions of Windows 7 or Windows 8/8.1, Windows RT 8.1. As these versions of Windows are not included in this free upgrade offer. Device is used a part of school or business etc. 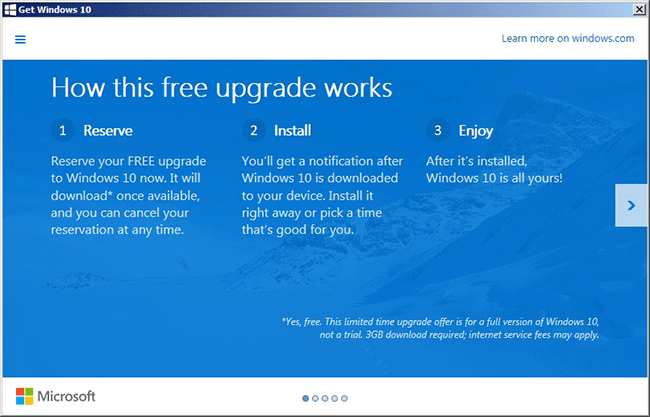 Devices which Microsoft find non-capable to run Windows 10, will not get free upgrade offer. As you are sure that your device is running Windows 7 with Service Pack 1 or Windows 8.1 and your Windows copy is a genuine one. You are now ready to force enable Windows 10 free upgrade icon to appear on your device. Step 1: Open a new Notepad file. Step 2: Copy and paste the following code in that Notepad file. Step 6: Select a folder where you want to save this file. And then click Save. For example – save file in C:/Win10 folder on your computer. 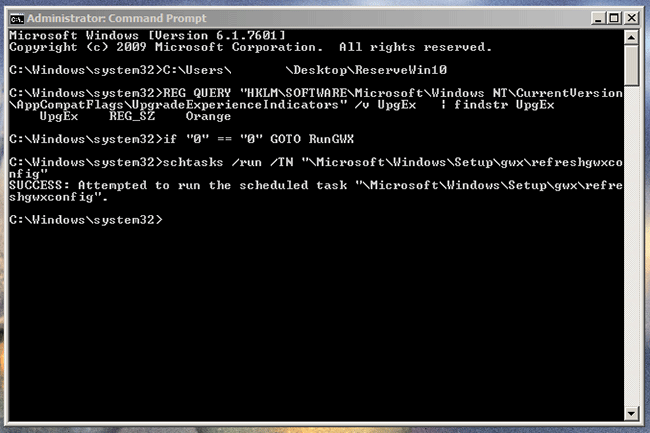 Step 8: In Command Prompt run the file ReserveWin10.cmd. You can run the file by typing the following command and then press Enter. After successful execution of the ReserveWin10.cmd file you will see the message like shown in screenshot below. KB3035583, KB2976978 – for Windows 8.1) are not installed on your device. If ReserveWin10.cmd start running in a loop. Check in Windows update history that above said updates are installed. Run it again after updating your Windows to all important updates available. Once white Windows icon appears in the system tray of your device. You can click it. 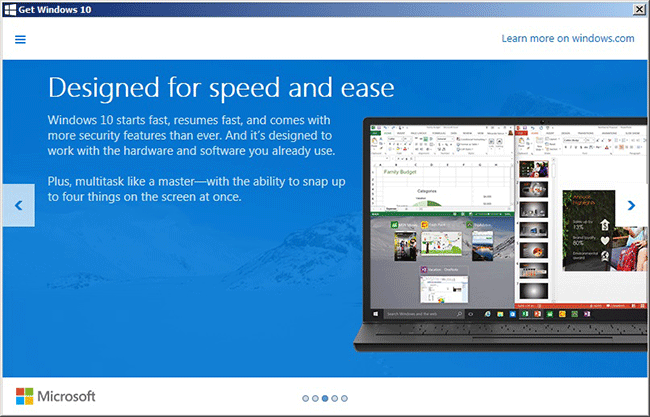 A windows will open showing slides of Windows 10 features. Last slide will show a button Reserve your free upgrade with a text Reserve your Windows 10 upgrade today! It’s free. It’s easy. No worries. Clicking Reserve your free upgrade button will take you to next screen greeting you with a text Great, your upgrade is reserved! It will ask you to enter email to get a confirmation. Entering email is optional. 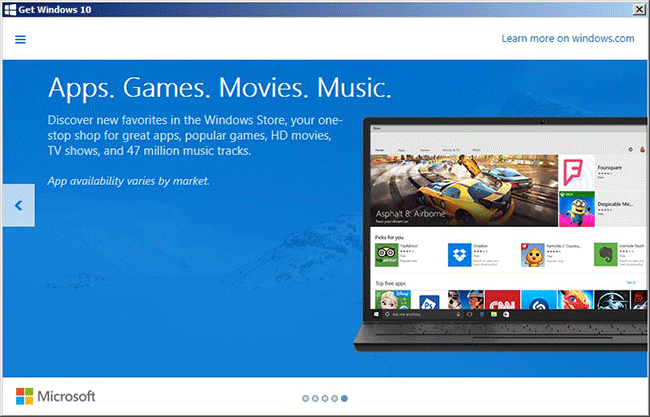 Reserve your copy of Windows 10 full version for free. If you are facing any problem while following the above procedure, let me know what your problem is. I will happy to help you out.